Mumbai: Toyota Kirloskar Motor India Pvt Ltd, the local arm of Toyota Motor Corporation, said it will ask owners to bring their cars back to dealers to replace parts in the Etios sedan and Liva hatchback. This will include close to 41,000 cars produced until late October. Sandeep Singh, deputy managing director (marketing) at Toyota Kirloskar, said the move was not a recall. “It’s part of a special service campaign and not a recall," he said. “We realised there are surface cracks in the hose and filler pipes. While it doesn’t pose any immediate danger, we decided to change the parts as a pre-emptive measure," he added. On 22 December, the Indian unit of Toyota advertised in national dailies announcing the special service campaign. “We had observed a potential case of aberration in the filler hose in some of the Toyota Etios and Etios Liva vehicles. 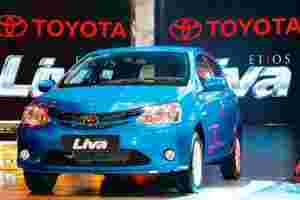 In line with Toyota’s global policy to be honest and sincere with our customers, we have, as a precautionary measure, organized a special service campaign for all Etios and Etios Liva cars where the affected parts will be checked and replaced free of cost," the advertisement said. Singh said it wasn’t the first time the company was organizing a service campaign, having undertaken a similar campaign for the Innova, its multi-purpose vehicle, in the past. Mohit Arora, executive director, JD Power Asia Pacific, Inc, Singapore, said, “In India, people tend to associate recalls with product failures, which is incorrect." According to him, more than anything else, it’s a pre-emptive measure taken by a manufacturer to replace a part that could potentially cause problems. “It’s a positive thing as the car maker is...fixing the issue," said Arora. Owing to the negative bias attached to recalls, carmakers in India avoid using the term and prefer to host service campaigns or deal with the issue on a one-to-one basis, he added. In May 2010, followed by sporadic incidents of the Nano catching fire, Tata Motors Ltd decided to install additional safety features in at least 70,000 of the cars it had sold, if the owners wanted them. As part of bolstering safety, the company offered to cover the catalytic converter to prevent the car from catching fire, besides the installation of a fuse. Toyota entered the volume car segment in India with the the Etios sedan in December 2010, followed by its Liva hatchback version in June. In the April-November period it sold 15,861 Liva hatchbacks and 30,173 of the Etios sedans, according to the Society of indian Automobile Manufacturers (SIAM).